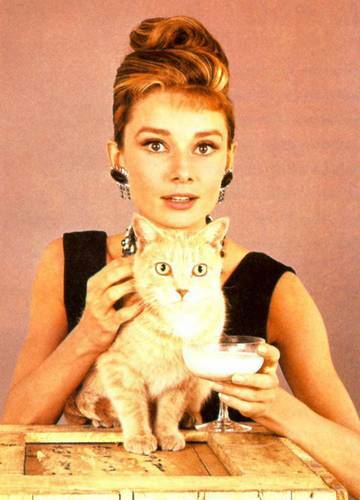 This Breakfast At Tiffany's photo contains kitten, kitty, cat, and true cat. There might also be tom, tomcat, tabby, queen, and egyptian cat. Awww. I wonder how they got Cat to stay!